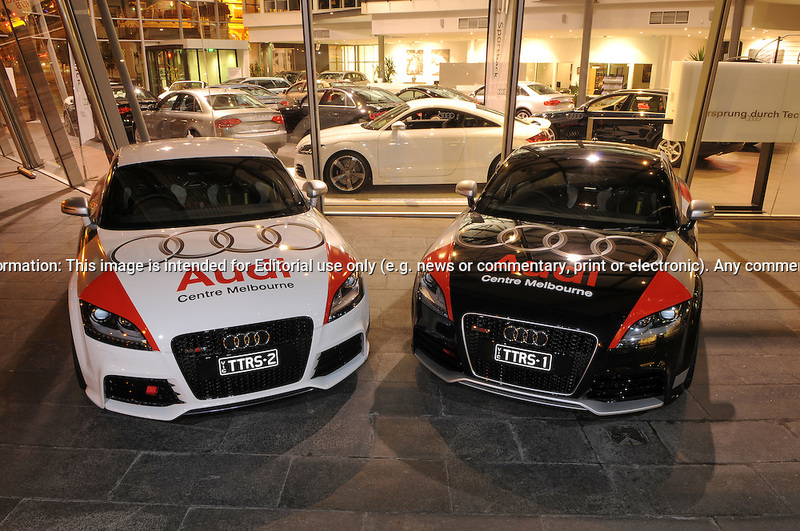 Matt & Casey Close's & Maher Algadri & Toni Feaver's 2010 Targa Tasmania Entry's 2010 Audi TTRS Coupe's in Ibis White & Phantom Black.Shot on location at Audi Centre Melbourne.Melbourne CBD, Victoria.14th of April 2010. (C) Joel Strickland Photographics.Use information: This image is intended for Editorial use only (e.g. news or commentary, print or electronic). Any commercial or promotional use requires additional clearance.